The Chancellor has announced ring-fenced funding for spending on strategic roads. In the Summer Budget 2015 Mr Osborne said that the proceeds of Vehicle Excise Duty would form the basis of a new road fund. It would be the first time since the 1930s that a dedicated road fund has been seen. The scheme is very similar in design to that outlined in a paper by Brian Wadsworth published by the RAC Foundation last month. “We welcomed the recent introduction of the long-term investment plans for major roads, but we were concerned about how they would be paid for. Now we know. “VED was introduced well over a century ago and for many years provided ring-fenced funding for roads. With this bold move, we have today gone full circle. “This certainty of funding for Highways England is something we have called for and are pleased to see delivered. 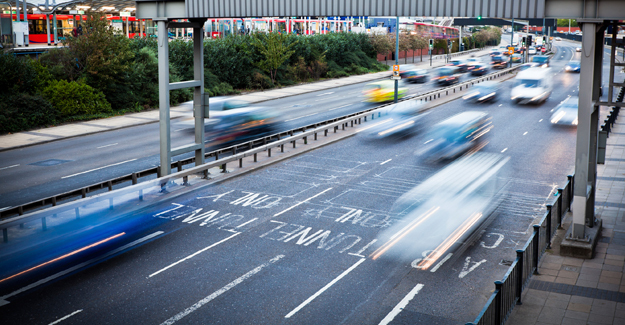 “Thirty seven million drivers will also be pleased that at least some of the tens of billions of pounds they contribute in tax each year is now guaranteed to be used for investment in strategic roads. “But it is important that we see investment in all our roads, not just the 2% that are motorways and major A roads. 1889 – Vehicle Excise Duty first introduced. 1909 – In the ‘People’s Budget’ Lloyd George announced that the proceeds of VED would be used to fund the building and maintenance of the road network. 1920 – The terms Road Fund and Road Fund Licence came into existence. 1936 – Hypothecation or ring-fencing of the Road Fund ended by the Finance Act. 2014 – 69% of new cars registered in Great Britain were exempt from VED in their first year on the road because they emitted less than 131gCO2/km and fell into bands A-D.